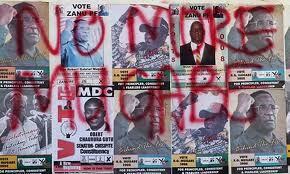 The people of Zimbabwe go to the polls today. They will either decide they no longer want Robert Mugabe’s continuing dominance of the political scene, or endorse his economic and social agenda for moving Zimbabwe forward. But will they be able to exercise that right freely and fairly? After several weeks of bitter accusations and counter-accusations of electoral malpractice and intimidation, supporters of both the ruling Zanu-PF and opposition MDC are expecting today to be very tense if not violent. And as the International Crisis Group commented in their report – ‘Zimbabwe’s Elections – Mugabe’s Last Stand’, published just two days ago, it would appear Robert Mugabe has rigged the electoral process to ensure another round of party advantage, that will see him back in power. A return to protracted political crisis, and possibly extensive violence, is likely, as Zimbabwe holds inadequately prepared presidential, parliamentary and local elections on 31 July. Conditions for a free and fair vote do not exist. Confidence in the process and institutions is low. The voters roll is a shambles, security forces unreformed and the media grossly imbalanced. The electoral commission is under-funded and lacked time to prepare. Concerns about rigging are pervasive, strongly disputed results highly likely. The Southern African Development Community (SADC) and the African Union (AU) face severe credibility tests. They must avoid a narrow technical approach. If the vote is deeply flawed, they should declare it illegitimate and press for a re-run after several months of careful preparation or, if that is not possible, facilitate negotiation of a compromise acceptable to the major parties; and strong diplomacy will be needed to forestall extensive violence if the presidential contest moves to a run-off in conditions like 2008, or, if President Robert Mugabe loses at any stage, to ensure a smooth transition. 89 years old and 33 years at the helm, President Mugabe seeks to ensure his Zimbabwe African National Union-Patriotic Front (ZANU-PF) regains full control of government before embarking on a fraught succession process. Out-manoeuvring both the two rival Movement for Democratic Change (MDC) formations and SADC, ZANU-PF hardliners, supported by the president, secured a Constitutional Court ruling that confirmed the premature election date, shutting down in the process any prospects of necessary reform, around which there had appeared to be growing convergence between the MDCs and SADC. The regional body, as well as the AU, might have pressed harder for a postponement; however, in the end, they felt they had little option but to accept the sovereign decision of the newly constituted court. MDC formations favoured a later date but could only cry foul and reluctantly agree to participate, since they know a boycott would be counter-productive and that to remain relevant they must demonstrate they retain popular support. With the campaign in full swing, ZANU-PF has a strong resource advantage. The MDCs have struggled to raise money but are relatively well organised. Prime Minister Morgan Tsvangirai’s MDC-T believes it can win the presidency but fears the electoral commission is being undermined from within and cannot deliver a free, fair, transparent and credible process. Many expect a Mugabe victory, because “ZANU doesn’t lose elections”, and even if out-voted, as in the first round in 2008, its hardliners would not give up power. Its strategy is to get its supporters to the voting stations and keep the opposition away. Preventing manipulation of the voters roll and tabulation process are critical challenges, as in past polls, though both will potentially have greater scrutiny. The parliamentary vote hinges on 34 swing constituencies in Masvingo and Manicaland provinces, where ZANU-PF seeks to recoup 2008 losses. Repeated calls from all parties to avert a repeat of the 2008 violence have tempered intimidation tactics, but as campaigning has intensified, incidents have increased, raising fears for what may happen, especially if the presidential contest again goes to a run-off. If the MDCs feel cheated, they are dependent on dispute resolution mechanisms that are untested or have a history of partisanship. Much resembles 2008, including an atmosphere of intolerance and restricted access, state media bias and lack of confidence in institutions. There are some significant differences: more voter access to information, especially through the internet, social media, mobile phones and satellite news. 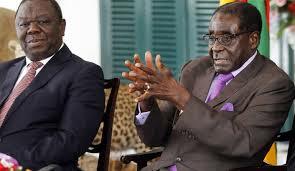 ZANU-PF no longer has an increasingly frustrated region’s unquestioning loyalty. SADC publicly acknowledges need for reforms, but expectations it would or could ensure a genuine vote are severely compromised, raising questions about its post-31 July role. Much of the international community is expected to take its cue from the AU and, especially, SADC, but there are concerns the latter may repeat its 2011 performance in the Democratic Republic of Congo (DRC), when it accepted an election replete with violations of its own guidelines. Mugabe’s threat in the 5 July speech that launched his campaign to leave SADC, “if it makes silly decisions”, and hardliner posturing that the organisation and its most powerful member, South Africa, want regime change, highlight ZANU-PF’s continued reliance on brinkmanship. Though both are aware Zimbabwe is not ready for elections, SADC and the AU have deployed observers, after weakly urging postponement, but thus far not to the swing constituencies or to many rural areas, though the major threat to security and proper tabulation of results comes from the very security forces legally bound to protect the elections. Especially if the presidential contest goes to a run-off, as in 2008, they should seek to include well-trained SADC police and military (whether active duty or retired) in their observer delegations specifically to monitor the conduct of the Zimbabwe military and police. Pre-election statements by SADC and the AU suggest an atmosphere of calm, but if they are to safeguard the region from a new crisis and help Zimbabwe move toward an adjustment of political power that fairly and efficiently reflects the genuine strengths of the two main camps, they need to be prepared to react promptly and strongly to an unfair vote, an escalation of violence or results rejected by bitterly divided camps.